Our top goal as Shrewsbury remodeling contractors is to satisfy our customers, and we will not leave a job until they have smiles on their faces! At LT Construction & Remodeling, we are professionally licensed and fully insured which means that we take our work seriously. Shrewsbury home owners who remodel their homes or make improvements to their property naturally hope to recoup any costs when it comes time to refinance or put their home up for sale. However, when it comes to financing and the real estate market, some renovation jobs are more valuable than others. If your main goal in doing a renovation is to raise the sticker value of your home, you might want to do some research on which remodeling can give you more bang for your buck. 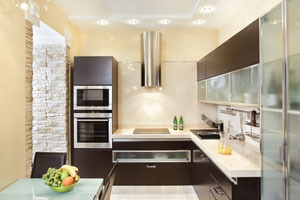 Kitchen and bathroom remodeling are a dependable bet, since they are valuable to home buyers today. These remodels usually pay back about 95% of their own cost when it comes time to appraise the home. Kitchens and bathrooms go out of date quickly, and are two of the most-often used rooms in a home. If you're planning on a renovation, this is the first place you should look. Adding a room to a Shrewsbury home which is large in comparison to the rest of the neighborhood does not always make sense, because when the time comes to sell the home, the resale value generally is not as high as it would be if the home were located in an area where the other Shrewsbury homes are more comparable in size. Most people in Shrewsbury would prefer to purchase a smaller home in an affluent neighborhood than purchase the largest home in a neighborhood of smaller homes. If you have any questions regarding whether you should consider a room addition, don't hesitate to contact your Shrewsbury remodeling company. We will be happy to answer any questions regarding the project. 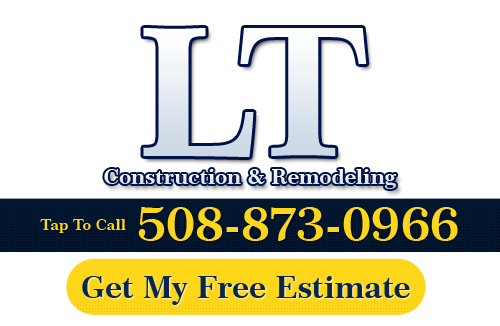 If you need to hire a professional Shrewsbury remodeling contractor, call LT Construction & Remodeling at 508-873-0966, or complete our online request form.